This hike with Trop Top is funny and playful. It respects the environment and it's a funny way to discover the surroundings. The kick scooter is modern and funny to use. 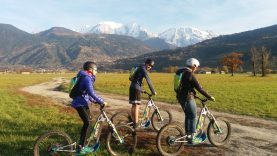 This activity takes place around the Passy lake. This summer, enjoy an original adventure with your family or friends in an exceptional setting! 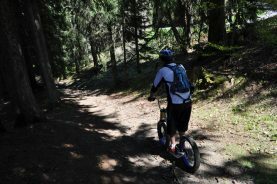 Discover the slopes of Mont d'Arbois on a all-terrain scooter! An activity not like the others. A playful escapade made for everyone who wants to experience the mountain differently.